Jack Henry Duncan comes to us from Lake Havasu City, AZ. Military Phonies became aware of Jack from various internet posts. I will say this one is a strange one. 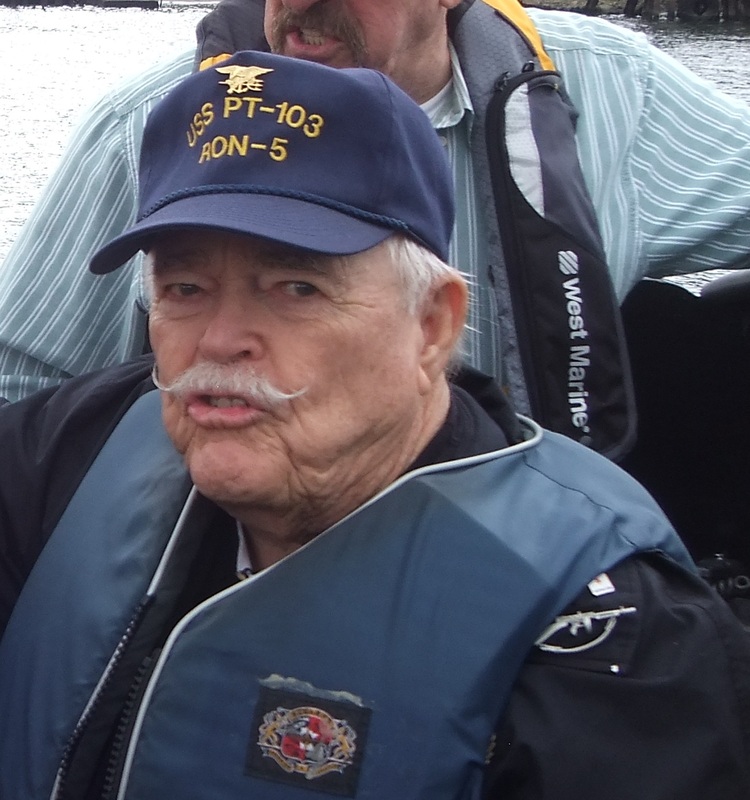 Jack did have an amazing Naval Career, Jack did retire as a Master Chief (E-9) in the Navy. Jack did receive various decorations and awards. 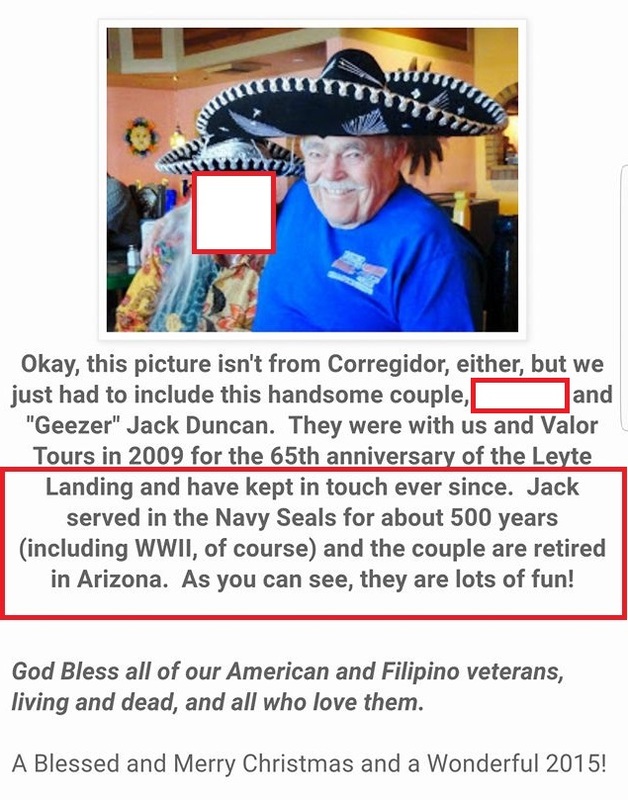 This is an article that remembers Jack on Veterans Day. Jack claims to have become an “under water explosive technician” he says it would be called a “Navy Seal” today. He also speaks about his killing days. 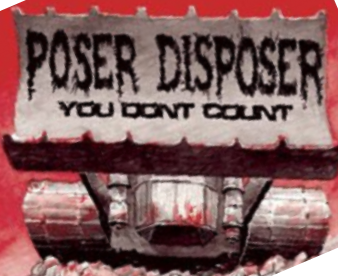 Jack then writes an extremely long article at the PT103 website about himself with various claims – claims of attending UDT Training, and claims of being a Combat Demolition Swimmer. 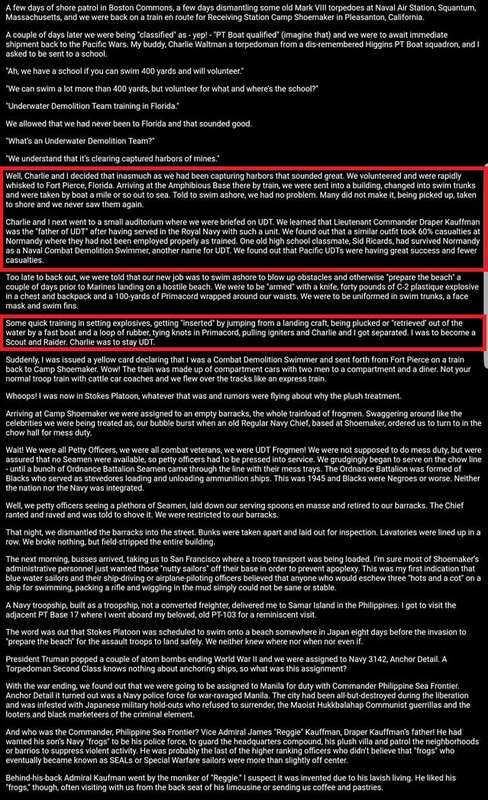 It looks like SOFREP did an article about Jack and printed his story. At Jacks 60 year High School Reunion they wrote a nice article about him. Listing him as a former Navy SEAL. 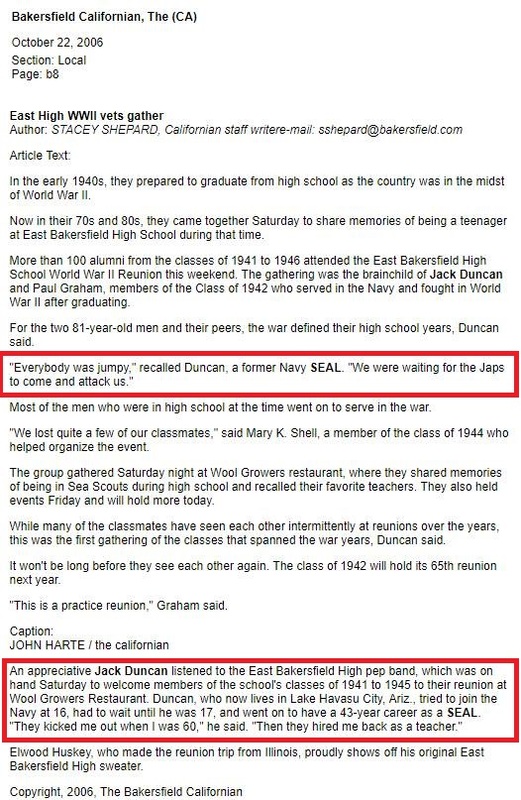 After contacting the UDT/SEAL archives, the Naval Special Warfare Center and checking the UDT/SEAL database we found that there is NO record of Jack Henry Duncan ever completing BUD/S Training or being assigned to a SEAL Team. We triple checked with the UDT/SEAL archives. 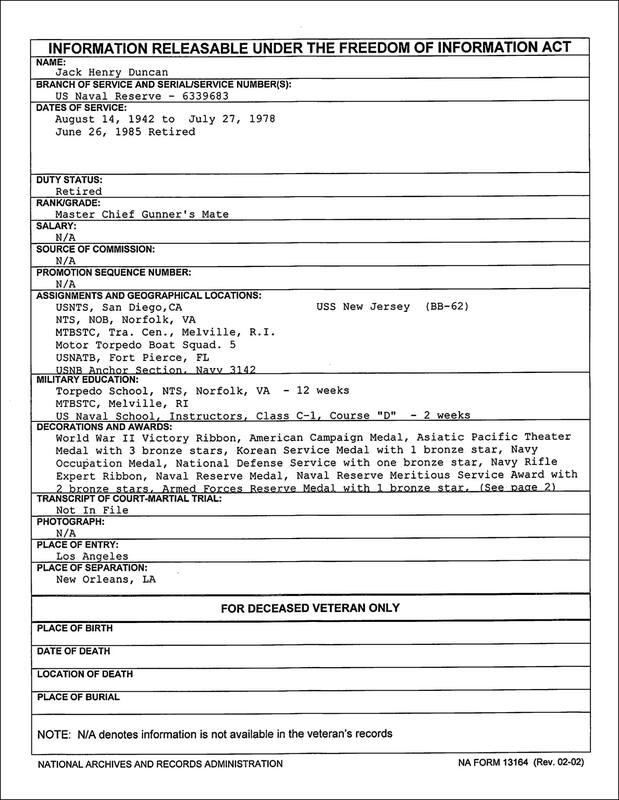 Jack Henry Duncan’s records were requested through a Freedom of Information Act (FOIA) request. 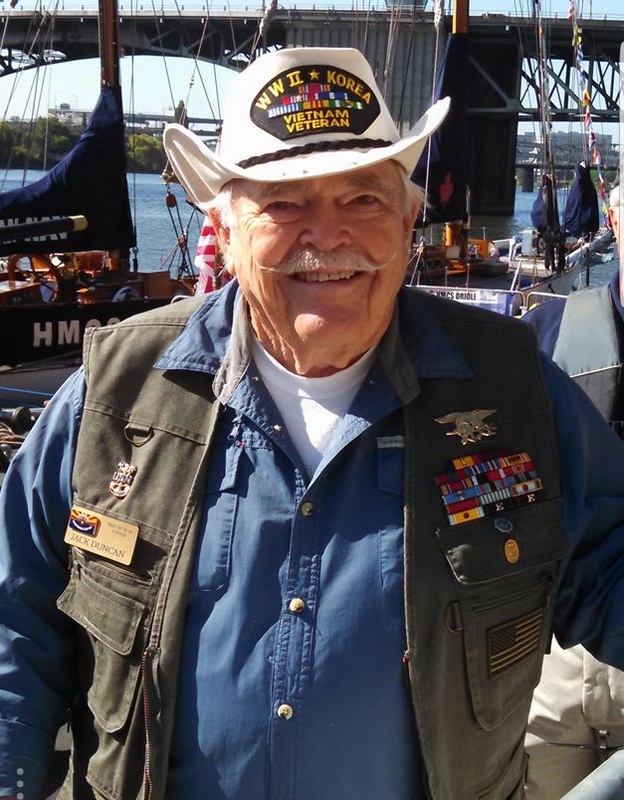 As we previously stated Jack was a Master Chief, earned numerous awards, served in numerous commands and served for over 4 decades in the Naval Reserves. Jack was in USNATB Fort Pierce, FL but did NOT complete UDT Training. We checked all sources within the UDT/SEAL database/archives. Fort Pierce at the time had numerous Naval schools. 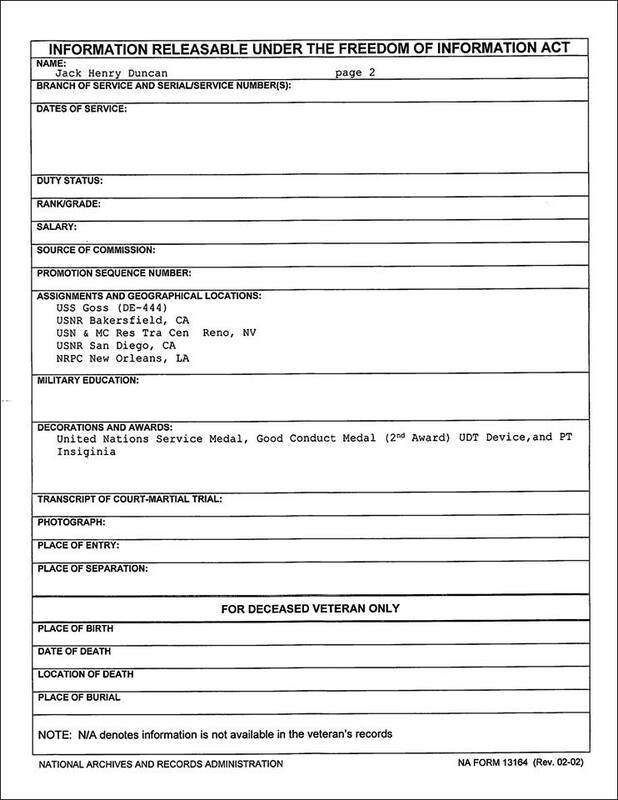 The odd part is that on Jack’s Summary Sheet it shows UDT Device which in the 70’s they were shoulder tabs. There is NO listing of UDT Training or any UDT/SEAL Commands. In 1983 all UDT Teams converted to SEAL Teams so if he was UDT it would show in his record that he earned the SEAL Insignia (Trident). Jack was part of the PT community and most likely attended Anti-Aircraft Training in Fort Pierce. In conclusion, Jack was NOT UDT or a SEAL. 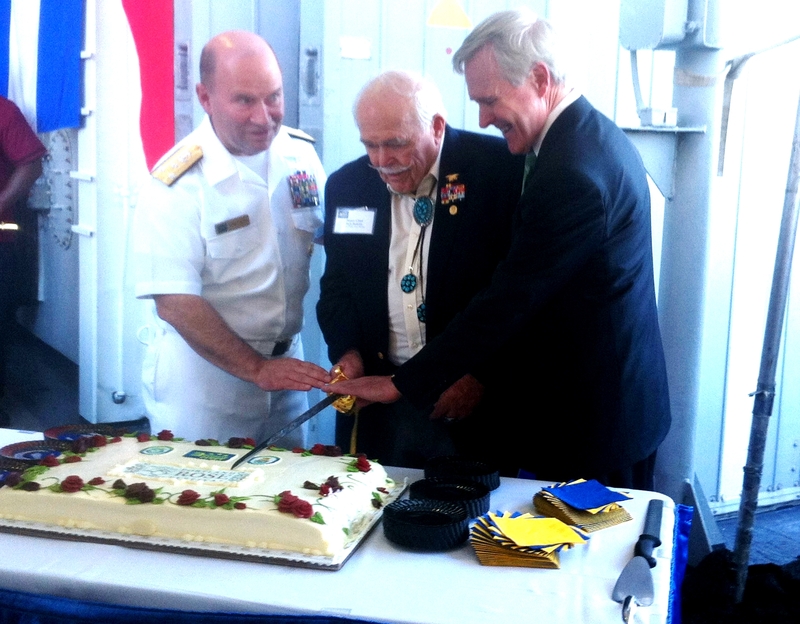 Vice Admiral Kenny Floyd (in uniform) and Secretary of the Navy Ray Mabus cutting a cake with Jack. « Richard Vallejos, Airborne, Ranger, Combat Diver, MSG, Green Beret… NOT!! Just a note of caution. In WW2, all the services ran training programs in theaters of operations to fill specific needs. These records are sketchy at best. In the troop ship days you didn’t send folks back to the ZI for short courses. As an example, the Army ran troops through an abbreviated airborne course in the UK prior to D-day. Wow. One hell of a career. so why apparently did he piss on it?? I am at a loss. This is the saddest story of stolen valor I’ve ever read. An outstanding career totally crapped on. Again, I feel pity for his family who didn’t know the truth until it was too late. When I’m his age, I’ll probably think I was a space shuttle door gunner with the right prompting. I threw a M-80 in the pond and killed a fish. That was my OJT training in UDT. Now with the Space Command being formed, I’m on the waiting list to become a Space Paratrooper. This man still did more than I would have ever been capable of. I would write his confusion off as old age and not wanting to argue with folks about whether he was a SEAL or not. This guy is one of the remaining warriors who fought 3 conflicts. I don’t blame the SEALs for being upset, but he gets a pass from me.